Russia is beefing up the law it uses to tackle online piracy. The law was introduced in mid-2013 and gave the authorities the power to tell internet companies to cut off access to sites found to be pirating media. As first enacted, the law only applied to sites that shared pirated movies and TV shows. 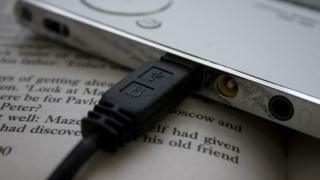 The updated law has been expanded to cover sites that share links to pirated music, books and software. It does not cover images. The updated law comes into force on 1 May. It gives those accused of harbouring pirated media just 72 hours to respond to a complaint before a permanent ban is put in place. No court order is required to shut down sites. Instead, officials will respond to complaints from rights-holders. Those accused of pirating content will then be able to argue their defence in court - but if they lose two cases, their site will go on the block list. Figures from Russia reveal that in the first year, anti-piracy watchdogs got complaints about 175 sites, which resulted in 12 of them being put on the banned list. Most of those banned are believed to be sites that share BitTorrent "trackers", which people use to find pirated media. Earlier this week Sergei Zheleznyak, deputy speaker of the Russian Duma, warned pirates about the imminent change. Mr Zheleznyak said the sites had until 1 May to enter into a "constructive dialogue" with the firms that hold the rights to the media being shared around. Talking to Russian media, he said: "Our common goal is to ensure that all work is adequately rewarded and that the benefit from successful books, music and wonderful computer programs is enjoyed by those who created them, and not those who stole them." Russia has also released figures that it says show that the action against pirated video has been successful. Online sales of movies and TV shows have doubled since the law came into force. The imminent arrival of the updated law has prompted some Russian sites to make changes to the way they work. In early 2015, Russian social network VKontakte removed a feature from its app that let people stream music they had uploaded to the site. The anti-piracy law is one of several different pieces of legislation enacted by Russia aimed at the internet. In August last year, Russia imposed restrictions on popular bloggers telling those with more than 3,000 daily readers to register with regulators and to follow regulations that governed what they could say. Human rights groups said the law was "draconian". In September next year, a law comes into force that will require internet companies to site servers that gather data about Russians in the country. Critics fear the data will be pored over by authorities to locate people who use social media to organise protests.